A real “Wow” piece. A fairly traditional (but elaborate) style was desired for this large corner cabinet. It was required to be lacking in nothing and to seriously impress any visitors and that is what we achieved! The doors along the lower level are curved doors which are made up of lots of individually scalloped components. The doors merge into each other and are finished with push release catches. 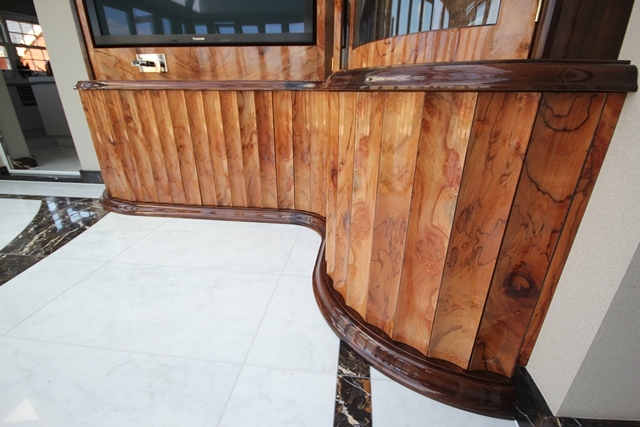 The doors are made from Pepperwood veneer with Wenge inlay at the peak of each scallop. Also there is a low level, double layered, dining table. 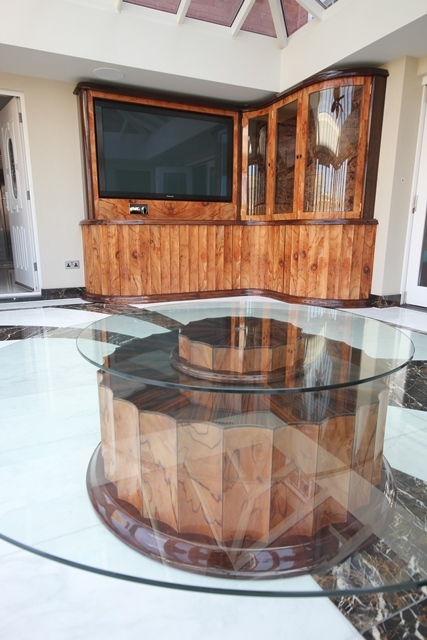 The table also features scalloped Pepperwood details but with a Macassar Ebony top which is laid out in a start burst. The smaller higher level of the dining table is a lazy-susan. 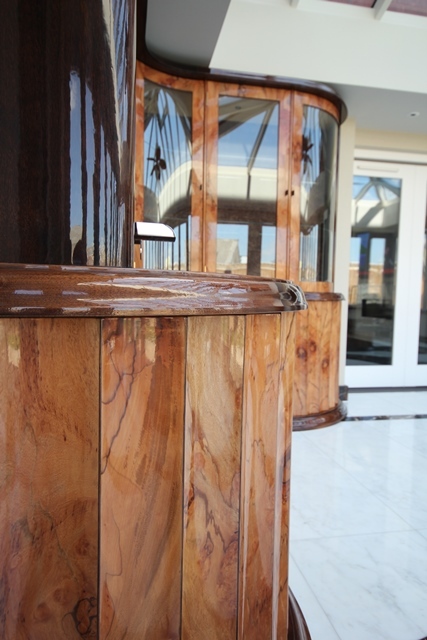 The main surface of the cabinet is also in macassar and incorporates a macassar ebony sink so that people can wash their hands after eating at the dining table. There is a large glass display cabinet where the glass in the doors was custom made curved glass so that we could follow the multi curved design of the overall concept. 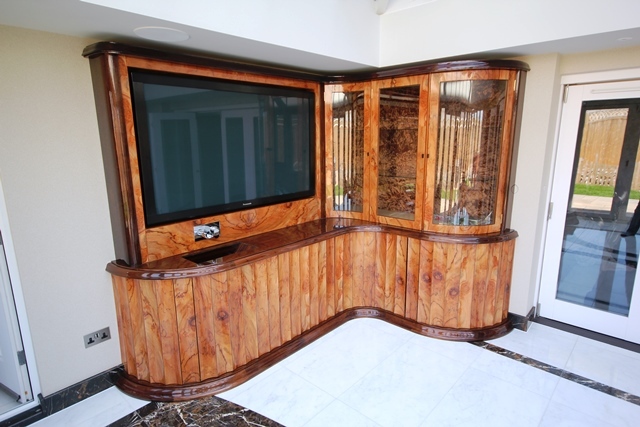 Also incorporated into the cabinet is a very large plasma tv mounted on a pull out bracket. All of the timber in the cabinet is finished with a 100% (wet-look) sheen.